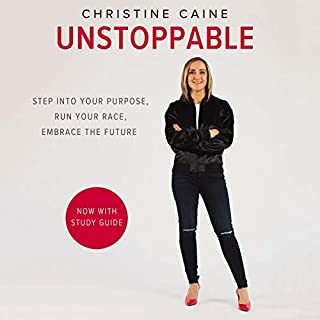 Christine Caine offers life-transforming insights about how not only to overcome the challenges, wrong turns, and often painful circumstances we all experience, but also to actually grow from those experiences and be equipped and empowered to help others. Using her own dramatic life story, Caine shows how God rescued her from a life where she was unnamed, unwanted, and unqualified. She tells how she overcame abuse, abandonment, fears, and other challenges to go on a mission of adventure. Everything in our world that can be shaken will be shaken. And yet the Bible assures us it doesn't matter what happens politically, morally, socially, or economically in the world around us if we have Christ in us - if we have the kingdom of God within us - because his kingdom is Unshakeable. 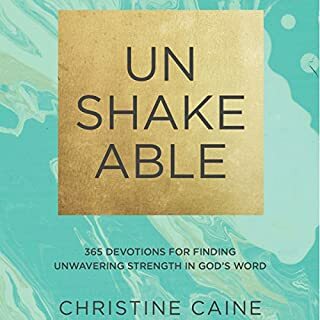 In this daily devotional, best-selling author, speaker, and activist Christine Caine will take you on a yearlong journey of building your faith in our Unshakeable God. People of faith are lined up in lanes all over this globe, batons in hand, running the race that matters most in this world - the divine relay. The divine relay is tough. The track is treacherous. There are so many ways to mangle the exchange zones, to overshoot, to be knocked off the track, to drop the baton, to stop running. The church needs champion runners who never give up, who persevere no matter what they encounter, who run to win, unstoppable, no matter the cost. 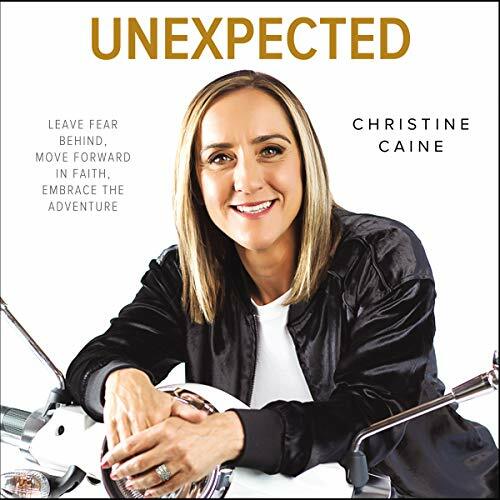 Encouragement and practical steps from best-selling author Christine Caine to help you move from anxiety about the unexpected to embracing confident faith in a good God. I very much enjoyed this book. It is inspirational and applicable! I feel energized to make a difference. This book is beyond good. It ignites hope and purpose. Christian Caine, I have a whole new respect for her. She went to a place that's inexplicably touches, of God, layered in this deep, revelatory work. It's so beautifully shared and it really let's you see that God uses all things,for good! Fantastic book. I so enjoyed being immersed, in this book. Profoundly impacting!!! Thank you for moving past the places, that tried to prevent this work. This writing is necessary. Such an encouraging and faith-inspiring book! Although sometimes with the busyness of life, I don’t get to finish much books but every time I picked up Unashamed to read, it was hard to put it down. Every time I picked up this book it would speak life and clarity into the very season I was in. It would bring to light things I thought I had dealt with already. Thank you Christine for your transparency, boldness and love for the Lord and people. this is the best book I have read. I am so grateful I found it at just the right time in my life. thank you. This faith filled book definitely lived up to its name! Unexpectedly, I was chased down by wisdom, new insight, new perspective, new hope and deeper understanding of my relationship with Jesus. Confusions about my life and calling cleared up with such ease and peace. Everything makes sense now. Well, as much as it can within these Jesus adventures. Today, I’m walking with confidence and a new sense of freedom. This book changed my life forever. I can dream bigger without fear! I’m so thankful for your heart Pastor Christine! You’re faithfulness has repeatedly propelled me forward. Though I’ve never meet you I’ve learned so much from you over the years. Thank You! This was the perfect start to 2019. Thank you Christine for trusting in the Lord and being a living example of his power when we trust in him. I am so encouraged and I especially loved praying with you at the end. 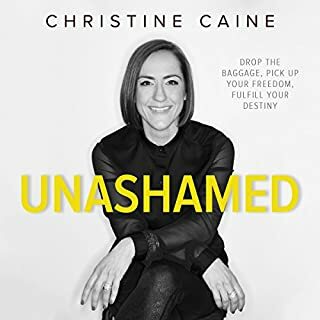 I’m so grateful for this book and for Christine‘s openness to share honestly her own life and thoughts and feelings that she’s walked through No matter what you are going through or have been through, surely Chris Caine will take you on a journey to build your faith restore your hope, remind you that you are never aloneand bring you out better than ever before! 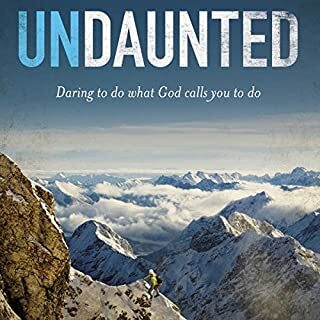 This book will definitely increase your faith and help you to understand that God is with you in every unexpected circumstance be it good or bad and that He is faithful through everything! 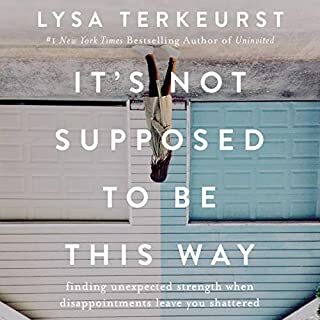 This book encouraged me to keep putting one foot in front of the other through hard times that I am facing and to embrace the journey because God is with me every step of the way and There is more to see ahead, more wonder and amazement and its much greater than I can imagine, hope, or think. This book is more powerful than you can imagine. 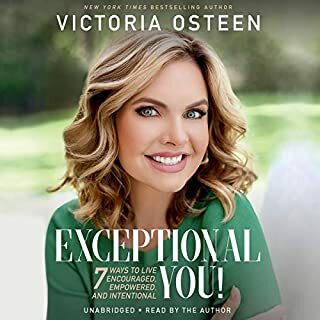 It is so encouraging I would say its worth a listen once a year at least to ensure you do not forget how God can work in your life in unexpected ways. Beautiful. God bless. Christine Caine is a good deliverer of truth and strength. If you need to know how much God loves you this book will introduce you to that. Everything you expect this book to be. Spoiler alert; There are unexpected things that happen in life. Seek God during those times, it’ll help.